Studio Artist’s paint synthesizer gives you an extreme amount of editable control over how auto-drawn paint paths are generated. 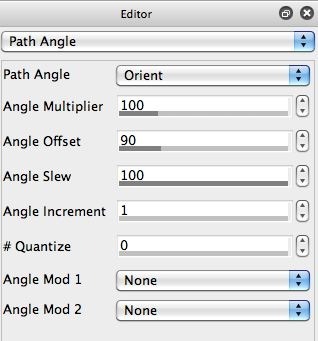 By working with the Path Angle control panel settings, you can build paint presets that try to track the source image local orientation. The orientation tracking could either be direct or with some additional angular offset. You can think of source orientation as the inherent curvature or flow you can perceive in local areas of a source image. The orientation follows along edges in the source image. The water preset generates auto-drawn paint strokes that track the source image orientation. If you look at the Path Angle control panel below, you can see that the Path Angle is set to track the Orientation, and the Angle Offset is set to 0. 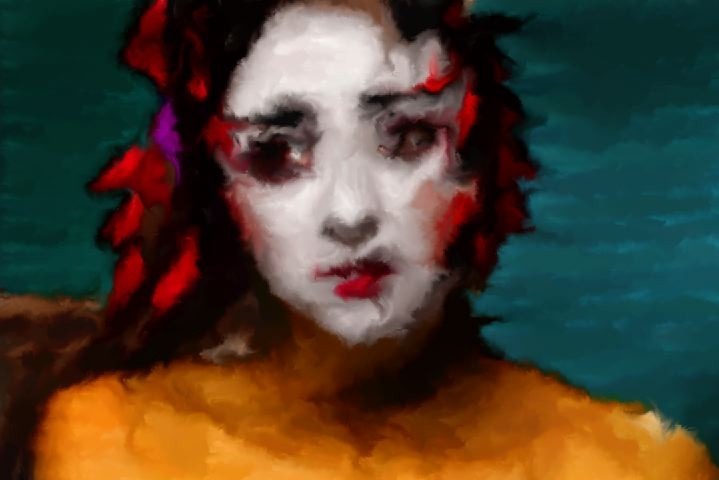 The 2nd gallery image below shows the output generated by first erasing the canvas to the source image, and then pressing Action to run the water blend paint preset. Note that the auto-drawn paint strokes follow the inherent curvature of the source image. So the water blend is being applied intelligently, and works to soften the image features without dramatically distorting them. The 3rd gallery image above shows the the Path Angle Offset has been set to 90 degrees. The Path Angle is still set to track the source image orientation. So the auto-drawn paint strokes will be generated so that they are drawn 90 degrees perpendicular to the inherent source image curvature. You can see the visual effect of painting perpendicular to the source image orientation in the 4th gallery image above. 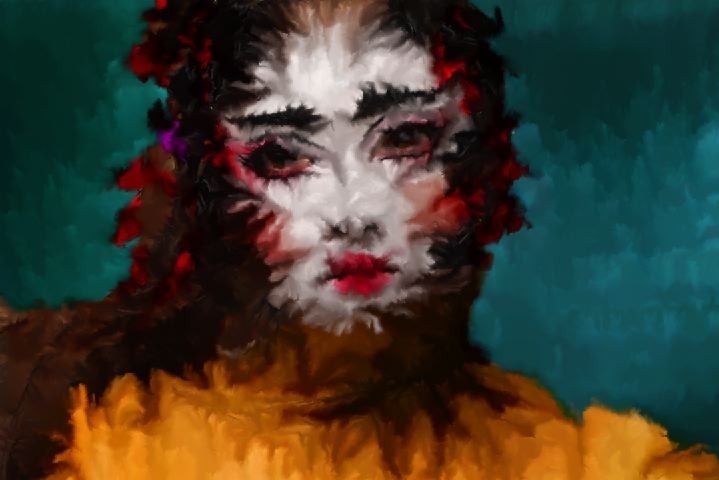 Note that the source image features are dramatically distorted when painting is applied perpendicular to the source orientation (as opposed to parallel with 0 degree angle offset). You can also try a 270 degree Angle Offset to run your perpendicular auto-painting. This will look different than 90 degree Angle Offset, because the paint stroke smear direction is reversed. This particular water blend effect is generated fairly simply in the paint synthesizer. The gallery below shows the Paint Source Setup and Paint Source Apply control panels. Note that the Fill From and Fill To parameters in the Paint Source Setup control panel are set to Canvas Image. So no paint coloring is applied to the brush nib, just the existing canvas image is placed on the brush and then reapplied to the canvas. 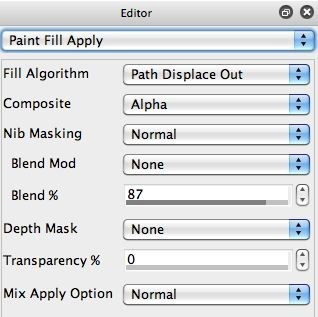 The Fill Algorithm in the Paint Fill Apply control panel is set to Path Displace Out. This fill algorithm pulls the existing canvas along the paint path. So it introduces a smear into the paint.